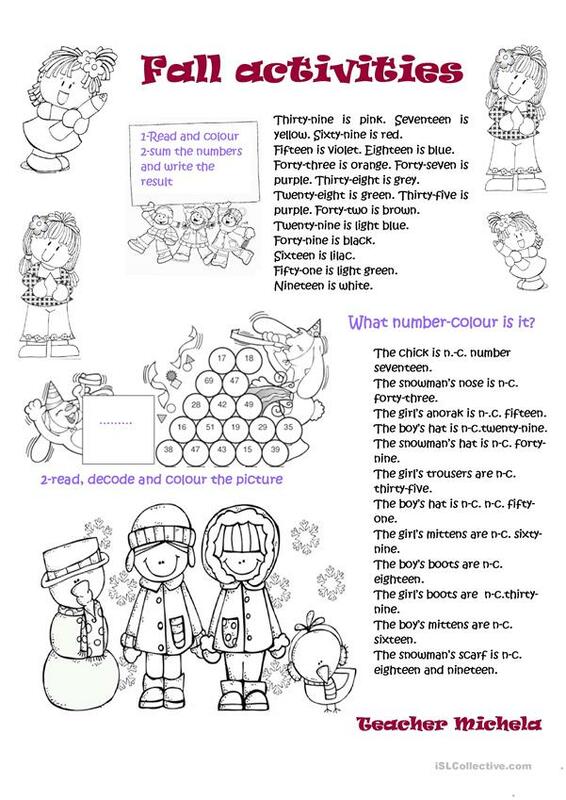 A funny worksheet to revise colours, numbers and clothes, I hope you like it! This downloadable teaching material is recommended for high school students, elementary school students and students with special educational needs, learning difficulties, e.g. dyslexia at Elementary (A1) and Pre-intermediate (A2) level. It is a valuable material for developing your pupils' Reading and Writing skills. It centers around the theme of Numbers.